Today’s course is a rollercoaster of 160.5 km, up and down without rest in the latter 100 kilometers. 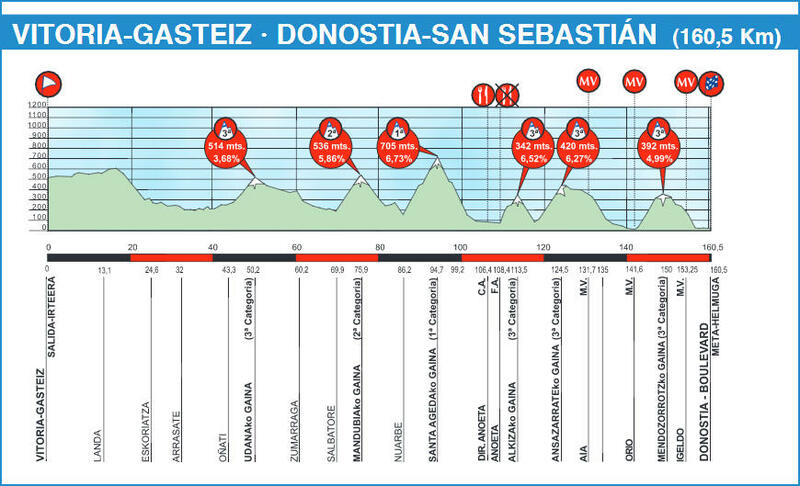 Of the six categorized climbs, the 1st-category Santa Ageda is the toughest, but it’s the section between the Andazarrte climb and the long descent to Mendizorrotz that will test the riders the most. After going over the top of Andazarrate, there’s a false flat until Igeldo. Whoever can get a gap here has a chance to foil a sprint finish in San Sebastián.